Vodafone has been censured by the ad watchdog after complaints from rival Telefonica that it misleadingly claimed in a campaign that it is used by 77% of the UK's emergency services. 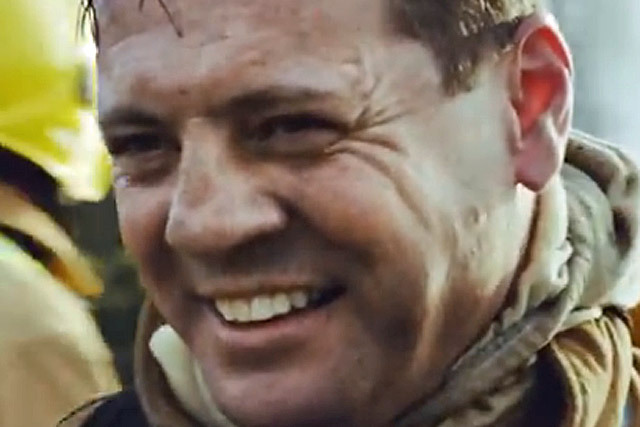 A TV ad (below), by Grey London, featured a firefighter’s wife leaving a voicemail as he tackles a blaze, while a press ad showing a police officer and a dog carried the text, "We are honoured 77% of the emergency services use Vodafone." O2-owner Telefonica complained on four issues, including that the campaign misleadingly implied that 77% of emergency services employees used Vodafone in a personal, not professional, capacity, and that the basis of the claim was not clear. Vodafone argued it had collaborated with Kable, a public sector market intelligence firm, to calculate that it had billed 77% of the UK’s emergency services for use of its services – although the brand acknowledged the range of services "varied greatly" from authority to authority. The brand added that by featuring real-life fire-fighters, and highlighting the "personal and emotional pressure" that they endure, it hoped to "demonstrate the strength of emergency services personnel". However, the Advertising Standards Authority ruled that viewers of the TV ad were likely to understand that a voicemail from a fireman’s wife is likely to be sent using a personal phone, as opposed to a phone provided by an employer. It also noted that the brand did not offer a definition for its claim, "77% of the emergency services use Vodafone," which could lead to an "ambiguity" that it provides exclusive telephony services to over three-quarters of the emergency services. The ASA told Vodafone that the ad must not appear again in its current form.